Woolies and Coles have made massive inroads into the Australian liquor industry. Not only have they hoovered up most of the liquor shops around town (Dan Murphy’s, First Choice, BWS, LiquorLand, Vintage Cellars), they are also filling up those bottleshops with beers they brew or brands they own or import. This is a little hard to determine sometimes. 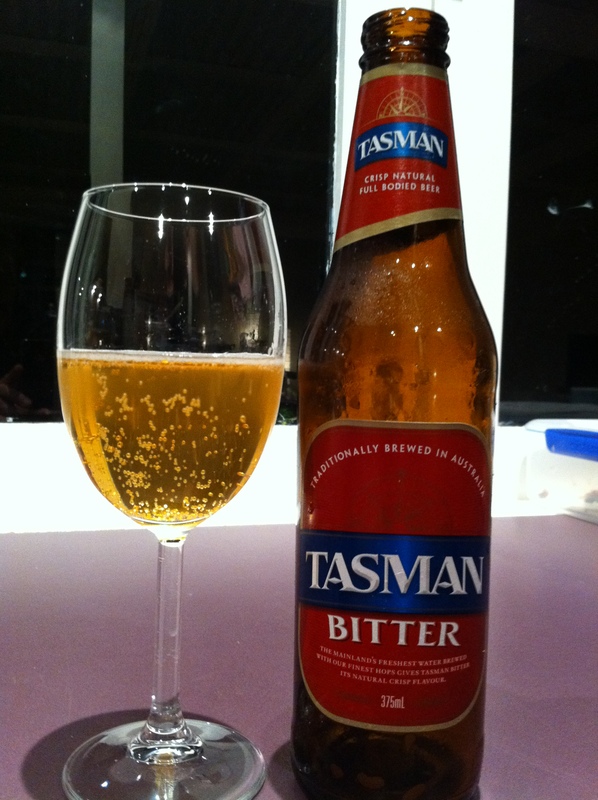 Tasman Bitter is a classic example of this. 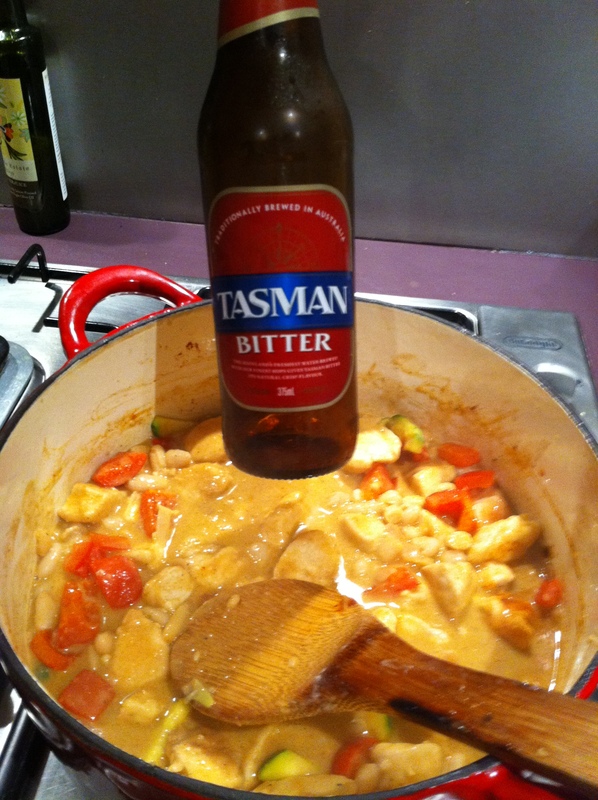 The oxymoronically named Australian Beer Connoisseurs (which is actually located at 800 Toorak Road, Hawthorn East – Coles Myer HQ) is responsible for Tasman Bitter. Wesfarmers are also responsible for Hammer & Tongs and Maxx Blonde. @untappd lists the brewer as being J. Boag, though there’s no reference to this on the bottle. Label babble refers to “The mainland’s freshest water brewed with our finest hops blah, blah, blah” which gives some credence to this theory and maybe Boags are brewing this on contract. I had a couple of stray bottles left from a 6 pack bought last week and one of them came in handy. Cooking a casserole, I’d normally use some white wine to liven up the stock, but Mrs bladdamasta had knocked off every drop. There wasn’t even a stray cask with same dregs left in it. Fortunately the Tasman Bitter came into its own. To be fair it’s not the worst beer going around and is certainly better than Carlton Cold. It is a standard el blando macro lager that isn’t unpleasant sliding down and would maybe add a little something to a chicken casserole – but that’ll only be proven the next day as it always is with casseroles. ooooh Mrs Bladdamasters caserole looks good. Quality winter stock. Not sure if you poured the whole beer (incl glass) into the pot. Mr Bladdamasta is the chef.